These polished stainless steel wheel trims are to fit 10 stud wheels. 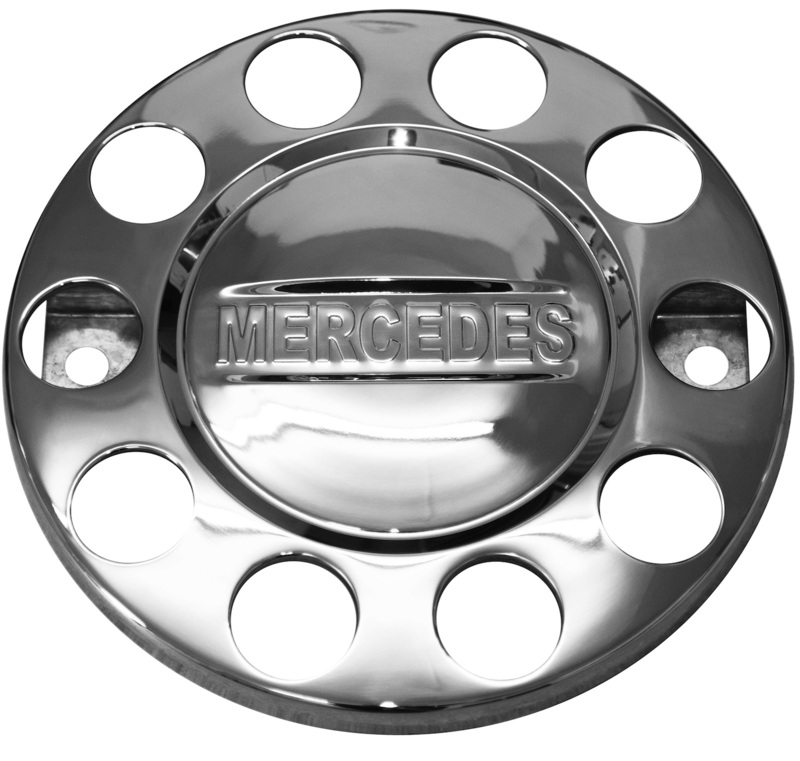 A good quality wheel trim with Mercedes embossed into the centre of the trim. These are standard fitment step rings with a 26mm stud hole fitting. Also available in the 32mm fixing for Alcoa® Retro Wheel Nuts - please see other listing. Sold in pairs (one axle set).